``... And You Are Christ's'' The Charism of Virginity and the Celibate Life Thomas Dubay, S.M. Another Sort of Learning James V. Schall, S.J. The Antichrist Vincent Miceli, S.J. Apostolic Origins of Priestly Celibacy Christian Cochini, S.J. "Banishing God in Albania The Prison Memoirs of Fr. Giacomo Gardin, S.J. ", Giacomo Gardin, S.J. The Battle for Normality A Guide for Self-Therapy for Homosexuality Gerard J.M. Van den Aardweg, Ph.D.
Biotechnology and the Assault on Parenthood Donald DeMarco, Ph.D.
A Brief Catechesis on Nature and Grace Henri Cardinal de Lubac, S.J. The Cantata of Love A Verse by Verse Reading of the Song of Songs Blaise Arminjon, S.J. "Catholicism: Christ and the Common Destiny of Man", Henri Cardinal de Lubac, S.J. "Christian Resistance to Antisemitism Memories from 1940-1944", Henri Cardinal de Lubac, S.J. Christian Spirituality in the Catholic Tradition Jordan Aumann, O.P. The Church and the Culture War Secular Anarchy or Sacred Order Joyce Little, Ph.D.
Church and State in Early Christianity Hugo Rahner, S.J. 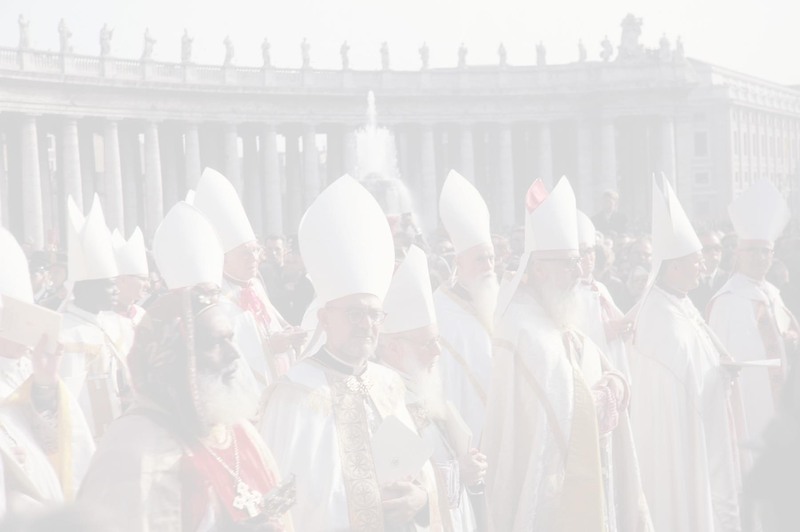 The Church and Women: A Compendium Balthasar, Ratzinger, Kasper et al. The Concentration Can An Eminent Geneticist Testifies on the Origins of Human Life Jérôme Lejeune, M.D., Ph.D.
A Do-It-At-Home Retreat The Spiritual Exercises of St. Ignatius Fr. André Ravier, S.J. Edmund Campion Hero of God's Underground Harold Gardiner, S.J. Faith and Certitude Thomas Dubay, S.M. Fire Within Teresa of Avila, John of the Cross and the Gospel--on Prayer Fr. Thomas Dubay, S.M. "Forth and Abroad" Mother Mary Francis, P.C.C. Francis de Sales Sage and Saint André Ravier, S.J. "Fundamentals of Catholicism Volumes I, II and III", Kenneth Baker, S.J. Handbook of Christian Apologetics Peter Kreeft and Ronald Tacelli, S.J. A Handbook on Guadalupe Edited by Brother Francis Mary, F.F.I. "He Leadeth Me", by Fr. Walter Ciszek, S.J. The Heart of Newman An Anthology Edited by Erich Przywara, S.J. Heart of the Redeemer Timothy O'Donnell, S.T.D. Idylls and Rambles Lighter Christian Essays James V. Schall, S.J. Ignatius the Theologian Hugo Rahner, S.J. In the Image of St. Dominic Nine Portraits of Dominican Life Guy Bedouelle, O.P. Looking at the Liturgy A Critical View of its Contemporary Reform Aidan Nichols, O.P. Mary at the Foot of the Cross A Retreat to John Paul II and the Papal Household James Cardinal Hickey, S.T.D. "A Memory for Wonders A True Story", Mother Veronica Namoyo Le Goulard, P.C.C. Newman's Vision of Faith Louis Bouyer, C.O. The Reform of Renewal Benedict J. Groeschel, C.F.R. The Re-Formed Jesuits A History of Changes in Jesuit Formation During the Years 1965-75 Joseph Becker, S.J. The Re-formed Jesuits--Vol. II Joseph Becker, S.J. Saint Dominic The Grace of the Word Guy Bedouelle, O.P. Saint Francis of the Seven Seas Albert J. Nevins, M.M. St. Jeanne de Chantal Noble Lady, Holy Woman André Ravier, S.J. Saints for Sinners Alban Goodier, S.J. Sexuality, Paul M. Quay, S.J. The Soul of Elizabeth Seton A Spiritual Portrait Joseph I. Dirvin, C.M. A Still Small Voice A Practical Guide on Reported Revelations Benedict Groeschel, C.F.R. Theology of the Priesthood Jean Galot, S.J. The Treasury of Catholic Wisdom by Fr. John Hardon, S.J. The Vatican & Communism in World War II What Really Happened? Robert Graham, S.J. The War Against Population The Economics and Ideology of Population Control Dr. Jacqueline Kasun, Ph.D.
"With God in Russia", Walter Ciszek, S.J. Woman in the Church Louis Bouyer, C.O. Women Mystics Louis Bouyer, C.O. Isaias 7: 14. Therefore the Lord himself shall give you a sign. Behold a virgin shall conceive, and bear a son and his name shall be called Emmanuel.